Welcome to Napa. Now that you’re here, you can take in all that the area has to offer! You’ll be needing a home base for your adventures, and our comfortable rooms provide an ideal launching point. Start out by exploring one of the many nearby wineries. Napa is famous the world over for its wines after all, and being in the valley provides a rare opportunity to go right to the source! 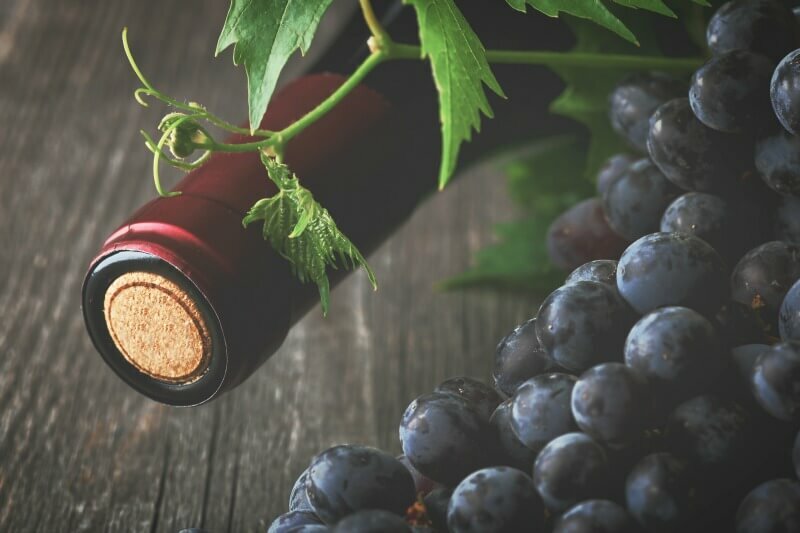 Sip a delicious vintage while out amongst the vines, and who knows, you might just gain new insight into how that wine goes from grape to glass. End your day on a high note with a visit to one of area’s best Calistoga restaurants. Bring depth to the taste of wine with a food pairing and enjoy a pleasant evening as the sun sets behind the rolling hills. A day out exploring Napa deserves a strong start, and what better way to do so than with a full breakfast at the inn? Made in-house from innkeeper Gillian Kite’s own cookbook recipes, they’re sure to delight the palate and provide much-needed energy for the full day ahead of you! 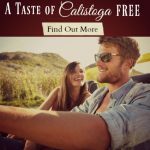 If you’re heading out, take the opportunity and enjoy a leisurely walk around downtown Calistoga. Have a bite at one of the local eateries and take in the beauty of the town. Afterward, take a chance on the experience of a lifetime and go up in a hot air balloon! See the whole valley spread out below you and take it all in, the perfect way to end a day while watching the sunset from high in the sky. Feel like going back in time? Would your Napa getaway benefit from a bit more of a medieval touch? Well then, you’re in luck! 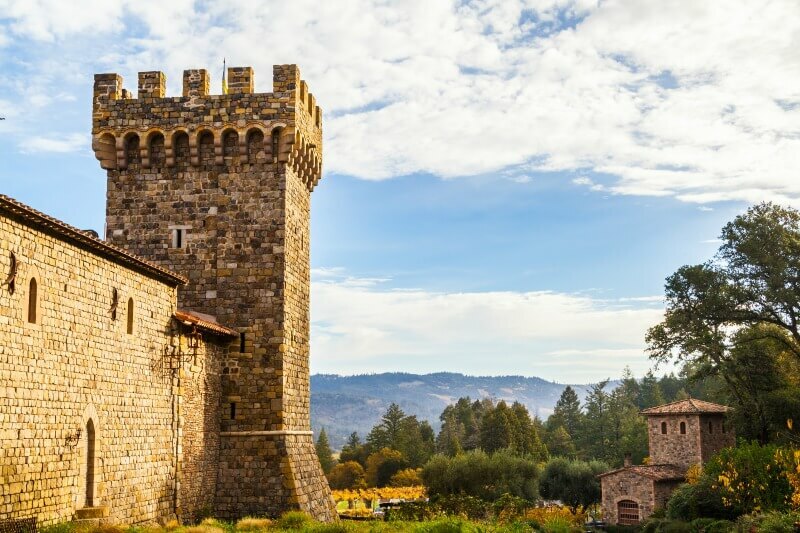 Only 2 miles from the inn is the beautiful Castello di Amorosa. Built to resemble ancient Tuscan style, a visit to the castle is like a step back into the past. Enjoy food and wine events in the “Castello Style” in the Great Hall or take in the fresh air up on the Terrace. For those interested, we’ve got you covered with our specially curated package. 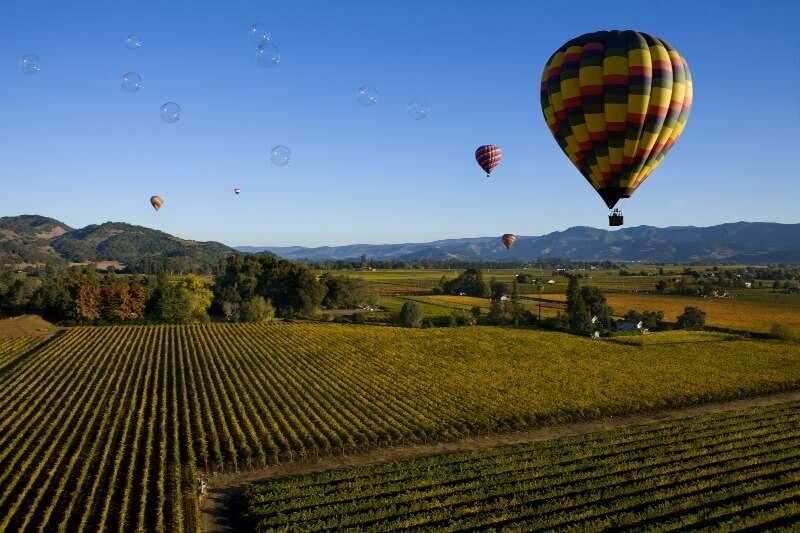 Want to stay active and see all the natural beauty Napa has to offer? Rent a bike or join a Sip ‘N Cycle Wine Tour of Calistoga, where our guests receive a $10 discount. End your day with a visit to one of the area’s premier restaurants. Whether you’re looking for a delightful romantic meal or simply need a bite to eat, you’re sure to find the perfect meal. With all these incredible options, The Valley is the perfect place for any kind of getaway your heart desires! 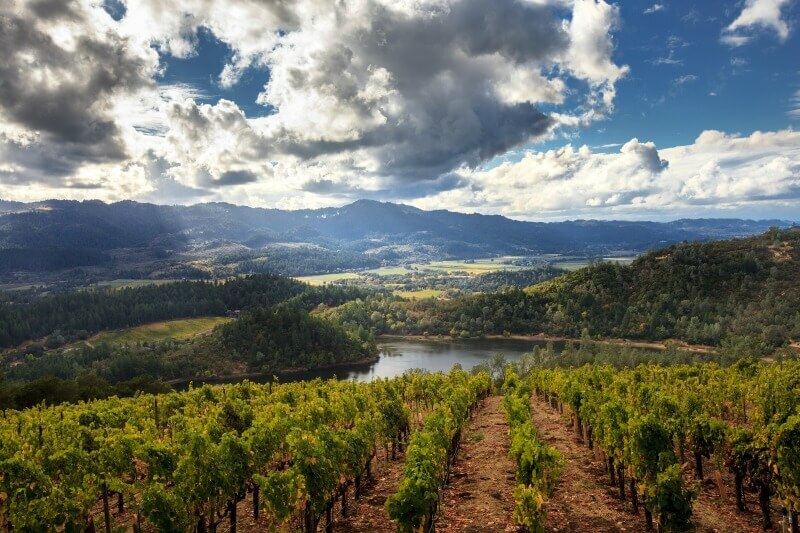 If any of these activities have stirred up a desire for beautiful sunshine and Napa wine, then let us be the home away from home for all your Napa Valley adventures.